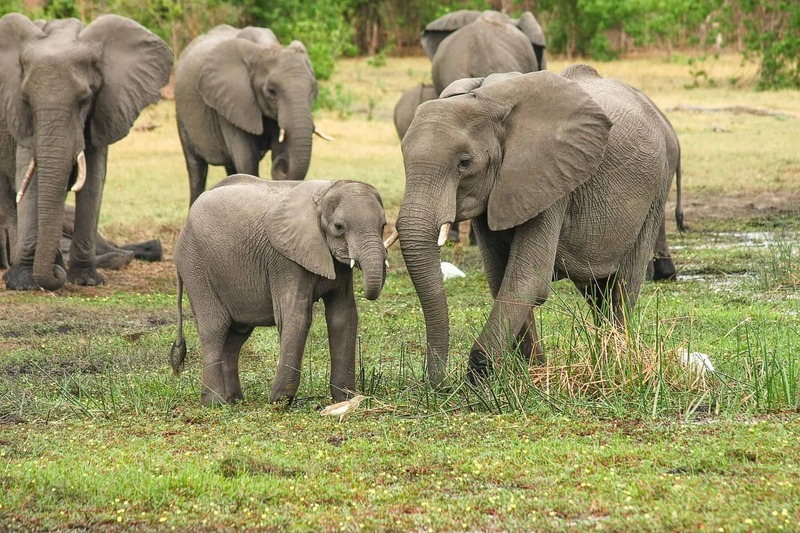 A genetic study of living and extinct elephant species generated proof forest elephants and the savanna elephants are indeed two separate species – an issue that has been a scientific debate for many years. The scientists behind the study hope that these findings help boost separate conservation efforts for both species of African elephants. Elephants are the world’s most iconic megafauna group, yet until now there was no comprehensive genomic assessment of their relationships. A consortium of scientists, including researchers at the Broad Institute of MIT and Harvard, Harvard Medical School, Uppsala University, the University of Potsdam, McMaster University, and the University of Illinois, used advanced sequencing technology to recover complete genomes from both living and extinct elephant species. In the study, published in the Proceedings of the National Academy of Sciences, the authors generated 14 genomes, including two from the American mastodon, which is an extinct elephant relative, and 12 from both living and extinct elephants species including an 120,000-y-old straight-tusked elephant, a Columbian mammoth, and woolly mammoths. Earlier genetic studies modelled elephant evolution via simple branching trees, but this study shows that interspecies hybridization has been a recurrent feature of elephant evolution. “This paper, the product of a grand initiative we started more than a decade ago, is far more than just the formal report of the elephant genome. It will be a reference point for understanding how diverse elephants are related to each other and it will be a model for conducting similar studies in other species groups,” said co-senior author Kerstin Lindblad-Toh, a senior director of vertebrate genomics at the Broad Institute and professor in comparative genomics at Uppsala University in Sweden. The researchers found that the genetic makeup of the straight-tusked elephant, previously placed as a sister group to African forest elephants, in fact comprises three major components. Most of the straight-tusked elephant’s ancestry derives from a lineage related to the ancestor of African elephants while its remaining ancestry consists of a large contribution from a lineage related to forest elephants and another related to mammoths. Columbian and woolly mammoths also showed evidence of interbreeding. While hybridization events have contributed to elephant evolution, isolation also played an important role. The study data reveal nearly complete isolation between the ancestors of the African forest and savanna elephants for 500,000 years. The study confirms that the African savannah and forest elephants are two distinct species, findings that should help to make the case to protect both.